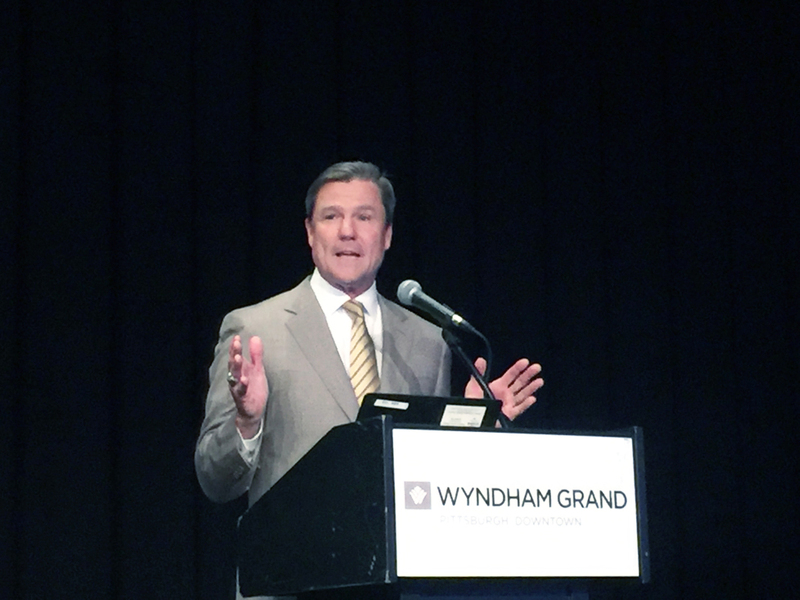 At SABR 48, Pittsburgh Pirates president Frank Coonelly delivered the opening remarks on Thursday, June 21, 2018, at the Wyndham Grand Downtown Pittsburgh, discussing his thoughts on such issues as the construction of PNC Park, the amateur draft, and his role on baseball’s competition committee. Coonelly is responsible for day-to-day operations of the Pirates. Prior to joining the team in 2007, he served for nearly a decade in the Commissioner's Office as Senior Vice President and General Counsel of Labor. He previously practiced labor and employment law as a partner with Morgan, Lewis & Bockius. He graduated with high distinction from Penn State University and earned his JD from Catholic University Law School in Washington, DC. 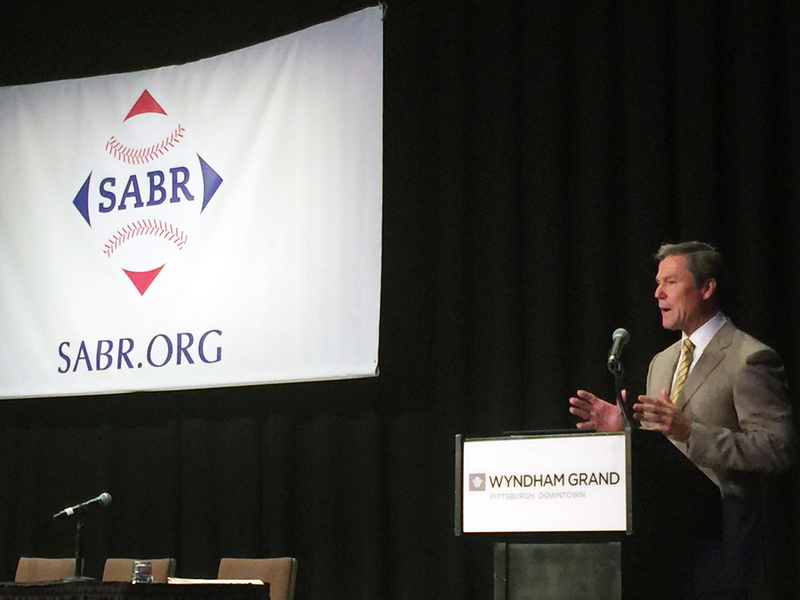 For more coverage of SABR 48, visit SABR.org/convention. This page was last updated June 26, 2018 at 7:48 pm MST.